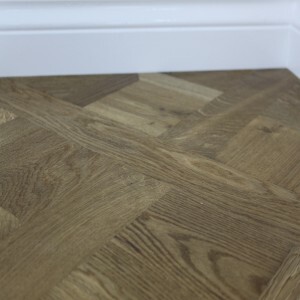 The Swedish Chevron Dark Brown Oak Effect Engineered flooring is a traditional, fashionable look which takes on a classic paten. 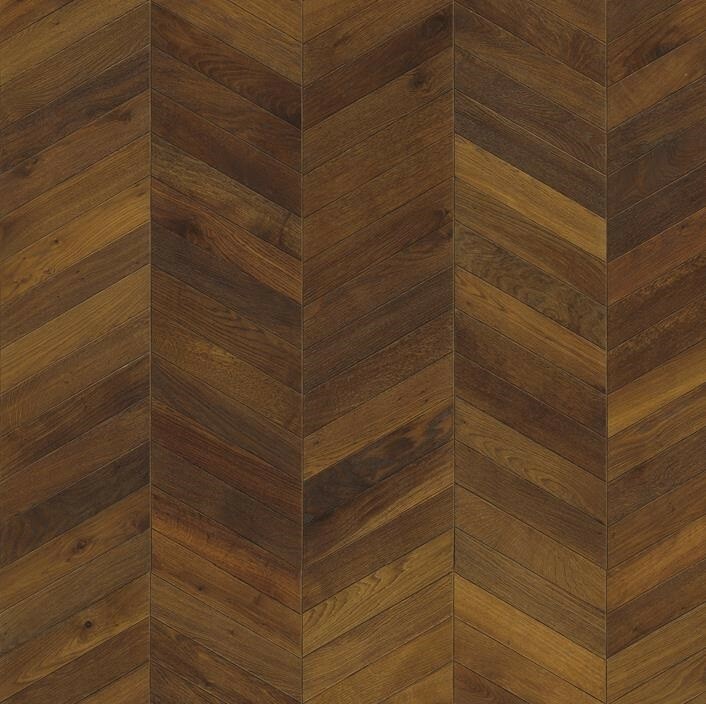 The flooring comes to a dark, strong brown floor and Like all the other chevron products; the board's unique designs are highly rustic and display nature’s own design to the fullest. 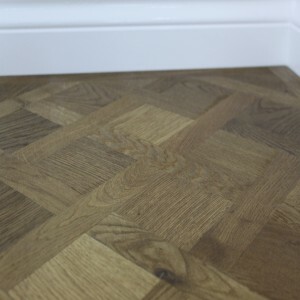 This product is ideal for ones looking for a dark, strong brown floor with occasional knots, cracks and fillings. When installed and combined with the frame boards, the result is unique and dramatic. 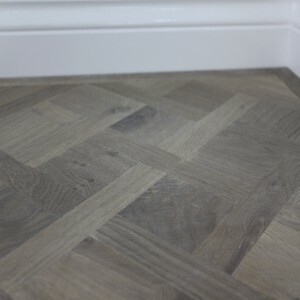 Bevels between every strip, natural colour variation, and brushed structure creates a dynamic classic herringbone pattern effect. The engineered floor is suitable for living room, study, bedrooms, kitchen and works well with underfloor heating systems. For cleaning and maintenance, we recommend using a Bona wood floor cleaning kit. 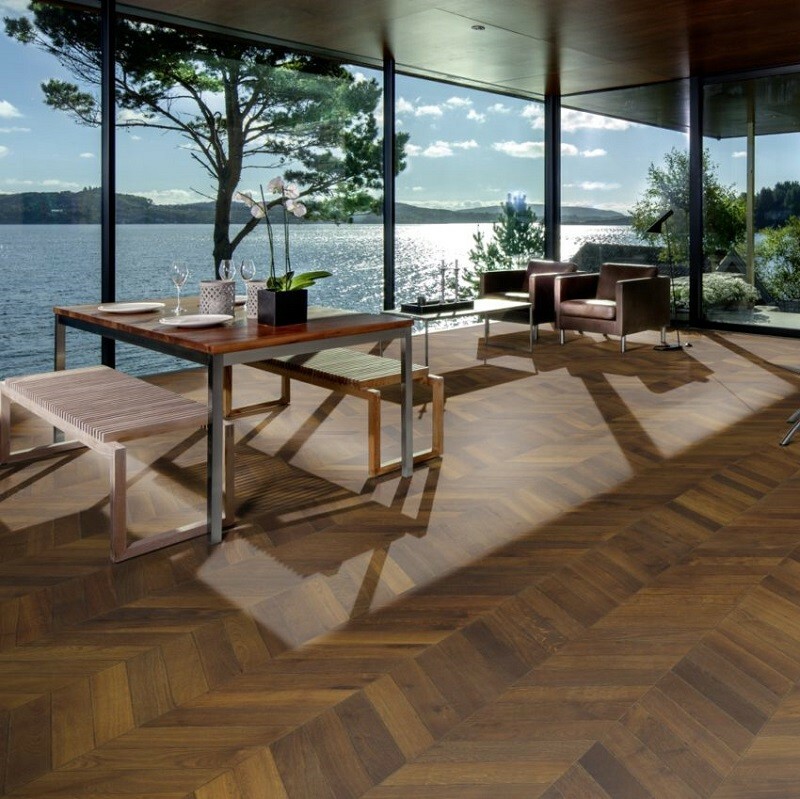 For the best unbeatable price on any flooring from Kahrs call us now on 020 390 44833, or email us for further advice on info@trendyflooring.co.uk. We will beat any quoted online price.